What’s really been going on in Brussels? On the face of it, the UK Prime Minister, Mr Cameron, has taken Britain to the brink of rupture with the European Union over the issue of child support payments to EU citizens working in the UK, but whose children live at home. The arguments over this raged for two nights and two days, as Mr Cameron pounded the table and wagged his finger and threatened to pull the whole EU house down. Official European plans for a post-discussion English dinner, and then - even more sacrosanct! - English Breakfast were left in tatters. And that means something serious is going on. Eventually the ‘migrants’ as apparently fellow EU workers are now to be called, lost the right to the full child support benefit, but retained the right to a miserly version phased on the cost of living in their home country. You’d have to be either pretty stupid, or very ignorant, like the vast majority of English people itching to unshackle themselves from the world's largest free trade area, to think this issue really was what the best minds of the Tory party were concerned about. No, the real issue going on in the ‘renegotiation’ concerned the City of London. The amounts riding on the child benefit wrangle amounted - at most - to a few tens of millions of euros. EU leaders were baffled at why the UK had dragged them to an Emergency summit. However, the amounts involved in the City’s ability to continue to act as the EU’s financial centre (despite the UK government not being part of the actual Europe currency) are rather more serious. Even the strident ‘vote Leave’ campaign estimate them at 10 billion euros a year. What Cameron and the Conservative government demanded was that the City be protected by changes to the EU’s core Treaties enshrining the right of the UK government to decide which financial regulations and standards to follow - and which to ignore or water down. In effect, to allow the City to undercut the rest of the European banks by being allowed to offer dodgier financial deals. 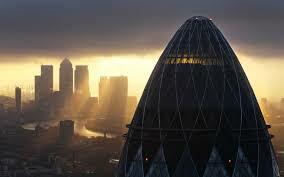 The City of London represents an obscene 20% of the UK GDP these days. Augmenting this would have been a prize worth having. And it almost worked! The ‘migrants’ talk and the bluster about not wanting to be part of a ‘political union’ distracted most of the other European leaders. Only, as far anyone can tell, the French really dug in, insisting on the principle of the ‘level playing field’ between financial institutions in Europe. Victory would have been well worth the loss of breakfast. It seems an initial draft even conceded the right to the UK government to let the City of London run rampant, but this, as Reuters put it very discreetly ‘raised concern’ in France that different banking regulations in London and the euro zone might unfairly benefit the former. This is no small matter. Had the UK ‘won’, a repeat of the 2008 banking crisis would have been not merely more likely but flat inevitable. As it is, Europe’s banks remain in a fragile state, with their assets largely imaginary and their potential debts dwarfing the entirely ‘real’ economies of their host countries. Iceland learned what happens when the banking bubble bursts, as to a lesser extent the world did in 2008. It won’t, and slightly to my own surprise, it seems that the EU has once again - Houdini like - escaped diabolical perils. Until the next time! Maybe. The post does look beneath the surface. Deeper still might be the question Grexit, Brexit, Spexit ... what is this strange dynamic? And what then lies behind the dynamic? Over here, the EU is a distant European distraction, amidst violent student protests, which have completely shut down almost every major university. When I first dated my wife, I told her that I was born in England. She asked me, "Where is England?" I was surprised too that the child benefit issue could be the stick point for Carmeron’s EU fight. How can he satisfy the Euro-sceptics with such “victories”? Thanks, Thomas and Chengde for your comments. Re the second, I understand that in the electoral campaign that brought Mr Cameron to power, he committed to stopping EU workers from having access to UK benefits - as part of the evergreen political ploy of protecting domestic jobs and supposed strains on public finance from foreigners. The EU is fundamentally about the free movement of labour, so this line was hard to actually translate into action when he (to many people's surprise) actually won the election. He consulted lawyers and they told him that the EU treaties could not be ignored or altered. But then someone in a think tank pointed out that one small aspect 'could' be amended - this totally peripheral issue of Child Benefits. It's interesting to read that one reason why this was considered 'doable' was that clawing back social benefits from workers from other EU countries was a GERMAN priority. The issue then was totally trivial to the UK, indeed it probably costs more to implement than any cash saving, and despite being crudely xenophobic, probably won't actually put 'migrants' off either. (Which is just as well, as the UK relies on these unappreciated people for many jobs, from doctors to teachers to factory workers).